It looks like Margot Robbie's dream of playing Harley Quinn again is set to become a reality as she has reportedly signed for a solo-film. She has apparently signed the deal with Warner Bros. and will produce the movie at an executive level, reports the Independent. Not only that, but the deal includes a 'first-look' caveat which will allow her to produce feature films through her LuckyChap Entertainment banner. The Hollywood Reporter have revealed that Margot will produce and star in an adaptation of Dean N. Jensen's Queen of the Air. 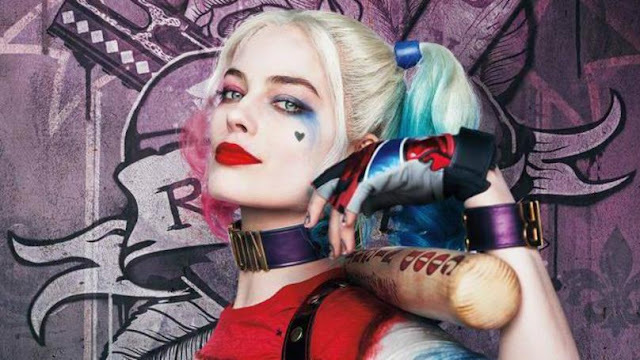 Margot's been hinting heavily at the possibility of a Harley Quinn spin-off. "I'm just so not done playing that character and there's so much more to do with her," she told Tribute, according to ComicBookMovie.com. "As anyone who's read the comics knows, there's a million different story lines to explore. There's just so much you can do in the DC Universe so I think it would be cool." Margot is certainly the star to watch, as she's currently the bookies' favourite to be the next Bond girl. What do you reckon? Obviously, Margot's version of Harley Quinn was incredibly well-received, but would you like a feature-length film? Of course you would. Why am I even asking?